hd00:22Spring blossom season. Trees blooming, branches covered with many white flowers. hd00:15Blossoming cherry tree. 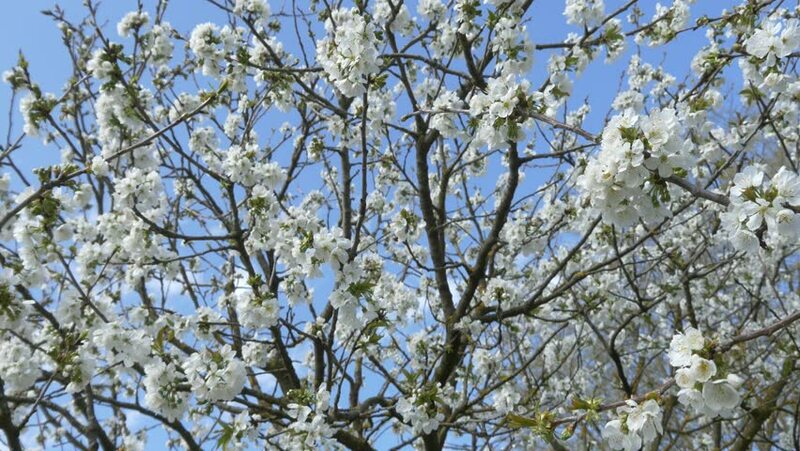 Cherry branches in white. White flowers on the branches of a tree. Natural background.